Uber is an excellent example of the new sorts of employment options the gig economy is creating. With Uber, drivers set their own schedules. They work when they want to, for as long as they want to. If something comes up that requires their attention they, can simply stop for a while and resume when they’re ready. They’re paid for the work that they do and aren’t handed any requirements or limits. They can work 10 hours a week or 60. It’s entirely up to them. This means that they control their schedules and their earning potential. The gig economy is about employment freedom. You have no boss looking over your shoulder, scrutinizing your every move. You don’t have a set schedule that must be adhered to. Instead, you choose your own hours and your own projects. You fit your work into your life instead of your life into your work. Before the gig economy, being our own boss meant opening a business and working grueling hours to try and make it a success. You were your own boss, but that didn’t mean you were free. Instead, you were a slave to your business, and unless you were there at all times you risked failure. Today the gig economy has finally realized the dream of freedom and true self-determination. You can be your own boss and have the freedom to work on your own terms. It’s a fresh, exciting type of gig work we’ve created here at Preferhired. In essence gig recruiters are independent employment recruiters that use social networks to find and qualify candidates for businesses looking to fill positions. You’re paid each time an employer chooses a candidate that you’ve referred to them. Here’s how it works. 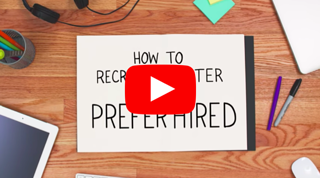 Employers post their jobs on the Preferhired site, including information about the sorts of candidates they’re looking for, the specific qualifications and skills they need and any other necessary details. You then search through the site looking for positions you may be able to fill. You can then share these listings across all of your social networks and via text messaging, all directly from the Preferhired platform. Your social connections may either be interested in the position or know someone who is. In very short order your entire social network is actively helping you find qualified candidates. When you find someone, you can use the simple tools inside Preferhired to qualify your candidate and make certain they’re a good fit for the job. 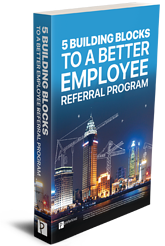 If they are, you refer them on to the listing employer. There’s no limit to the number of qualified candidates you can submit. The more you send, the better your chances. When and if one of your candidates is chosen by the employer you get a nice sum added to your bank account. It’s really that simple. Your earning potential is only limited by the amount of time you put in and the size of your social networks. And that’s the beauty of the gig. You can always increase the size and reach of your social networks. And as a gig recruiter, you’ll have a financial incentive to do just that! First and foremost, being a gig recruiter gives you freedom. You get to set your own schedule. You get to work when you want. You get to focus on your life when you want to or need to, and then take care of business when you’re ready. Gig recruiting lets you define your perfect employment situation. Since all you need is a laptop and a cell phone, you can be a gig recruiter anywhere. You can travel and take your work with you. Take your family on an extended vacation and still earn when you need to. Your social network goes with you wherever you go, so you’re truly free to work whenever and wherever you want. You also have the opportunity to extend your social networks far beyond their current size. That means all sorts of new and interesting people in your life. We are social creatures, and reaching out, making meaningful connections with others gives life purpose and joy. As a gig recruiter, you get to make meaningful connections with both friends, friends of friends, and total strangers (who quickly become friends) and help people at the same time. Imagine how fulfilling it would be to spend your days finding the perfect job for people. And getting paid for it! Plus you can get set up in almost no time. You could open an account and be earning referral commissions the same day! If total freedom, and the ability to help people find their perfect job all while getting paid, sounds like your perfect job then go to http://resources.preferhired.com/refer to learn more and sign up today!